20 members of Bandung City Council (DPRD)'s Regulation Forming Agency (Bapemperda) held work visit to Jakarta DPRD.
" We want our PAD could increase rapidly as in Jakarta"
Jakarta DPRD's Bapemperda member, Bestari Barus said, Bandung DPRD needs to hold comparative study to Jakarta because its regulation (Perda) related to IMB is currently being discussed. "We want our PAD could increase rapidly as in Jakarta. 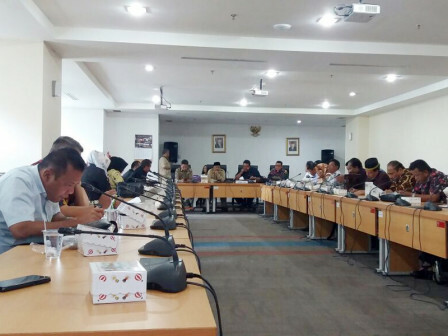 Result from this work visit will be implemented in Bandung," stated Teddy Setiadi, Bandung DPRD's Bapemperda Head at Jakarta DPRD building, Monday (7/30). Related to that case, Bestari advised all permissions to be accessed through One-Stop Integrated Services (PTSP) only. Thus need a good cooperation between Bandung executive and legislative sides. "Create Perda that can increa se PAD's potentials. But don't turn down small businesses," he conveyed.